Originally a 1949 saloon, little is known about its early years but we are told that it was converted into a Special by a chap called John Thomas of Hever in Kent. Apparently Mr Thomas created two cars and although previous auctioneers have alluded to this car lapping Brands Hatch in 59 seconds (well they would, wouldn’t they?) it is likely to be the other one. Edmund Marriot the neighbour of Mr Thomas has fond memories of the car and has kindly helped to fill-in some of the gaps in the history including mentioning the fact that the boot lid is from a Morris Minor! 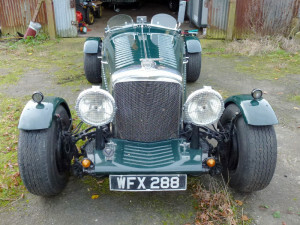 The chassis has been shortened and the engine is a 4.5 litre V8 from a Daimler Majestic Major. Bearing in mind that the engine would propel a 2 ton car at 120mph and it now weighs about half this amount and also bearing in mind that a close ratio gear box is fitted, this car is quick. The car was completed around 1978-80 and sold to Russell Michcon a barrister and the son of Lord Michcon the solicitor to the Royal family. Russell Michcon had a number of works carried out in 1987 and 1988 by Rees Brothers of Aldershot including regrinding the crankshaft and honing the bores. 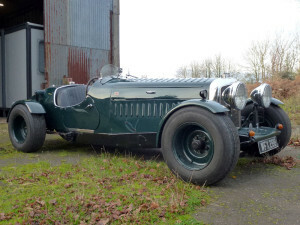 Rees Brothers have described the car as a Lotus 7 on steroids! In the early 1990’s it was in poor condition and underwent some restoration and in 2001 it was sold by auction at Coys to John McKewan who exported it to Birmingham, Michigan, Canada. Much work was carried out between January and August 2002 by The Guild of Automotive Restorations Inc of Bradford Ontario, resulting in bills totalling Can$54,465. The work included re-modelling the rear end including the installation of telescopic shock absorbers. 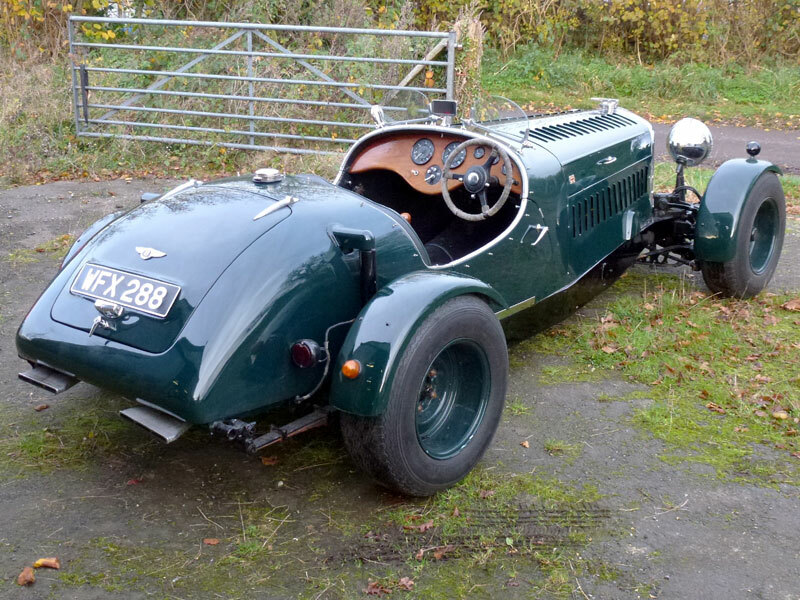 The car was sold in 2009 by Auto Europe of Birmingham, Michigan to Chris Moss of Caterham who re-imported it to the UK and eventually put it into auction with H & H in December 2012 which is how it entered the Twirp collection. After familiarising ourselves with the car and discovering that it is quick it was sent to James Baxter to give it a “dose of looking-at”. Some rectification work was carried out to the brakes and the car was given a thorough service but the most important thing was that James discovered that the throttle was opening only five eighths. Needless to say, this has changed the characteristics for the better and we can best express the performance by using James’ actual words. “Blimey, car is staggeringly fast, and handles well too. Steering a little too low geared for me, but fantastic fun”. WFX 288 is a favourite of Mole which he often drives on Twirp Tours. 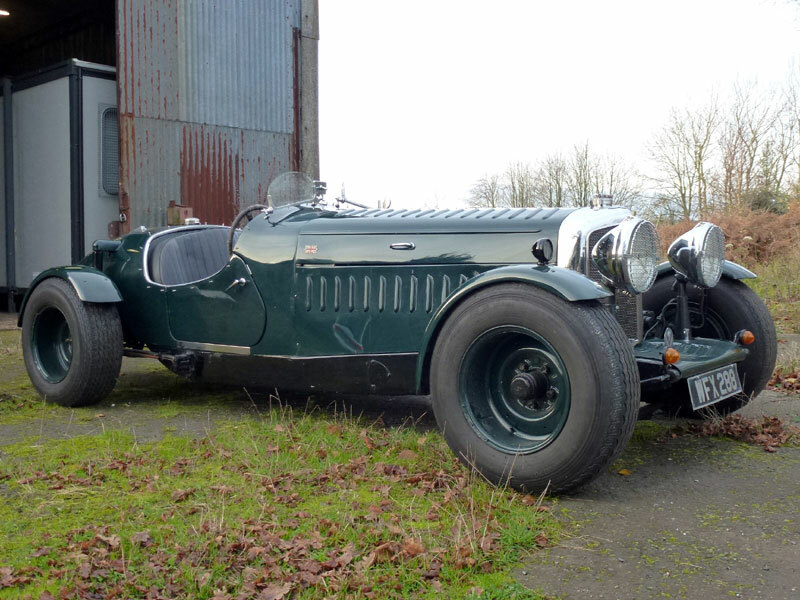 The car is often used as a run- about by Ratty in summer and has competed at Harewood hill climb.